C3 Corvette Forum - Re-Doing Chrome edging? 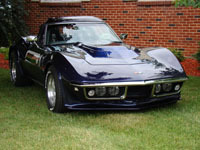 C3 Corvette Forum › Tech/Performance/Info › Interior Information/Questions › Re-Doing Chrome edging? Chrome edging on Gauge and shifter console? Anyone try redoing these with the Chrome pens they sell on Ebay? Results? Suggestions? Was gonna post a link but it is a No No! Glad you brought this up...I never even thought about it, but I did order a pen from Amazon with get reviews. I'll try it out & report back. Thanks Alan! I be watching for you to check back in. I used it this morning on the 77 center console & it turned out great. It will need a 2nd coat it spots but unless you get real close it looks factory.